Founders Entertainment, the promotional company behind the New York based festival Governor’s Ball, has a brand new two day event headed to Queens this fall. Dubbed The Meadows, the new festival has already began announcing some of its lineup, revealing a roster filled with big name acts. Kygo, The Weeknd, Kanye West and Chance The Rapper are all confirmed as headliners for the upcoming festival, while the lineup features a number of other notable electronic acts, such as Zhu, Grimes, Empire of the Sun, Robert Delong and Chromeo. From what we understand, this is only a partial roster, and more names will be added to the list in the coming months. 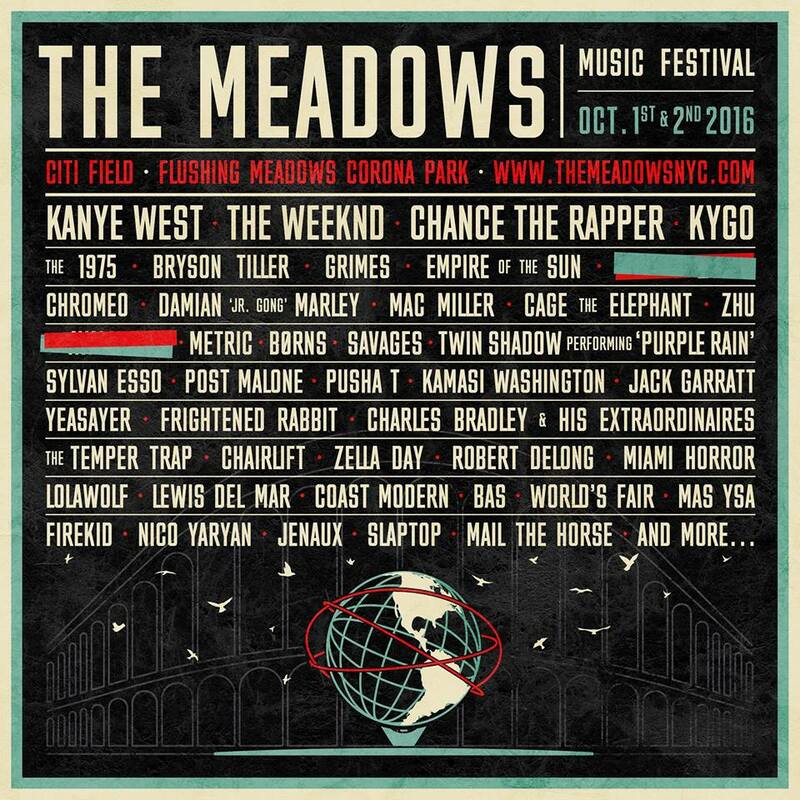 The Meadows is set to kick off October 1 and 2 at Citi Field, the same venue that holds EDC New York. General admission and VIP tickets will go on sale June 23 at 11am EST, while Governor’s Ball ticket holders have access to special pre-sale tickets as of today that can be found here.